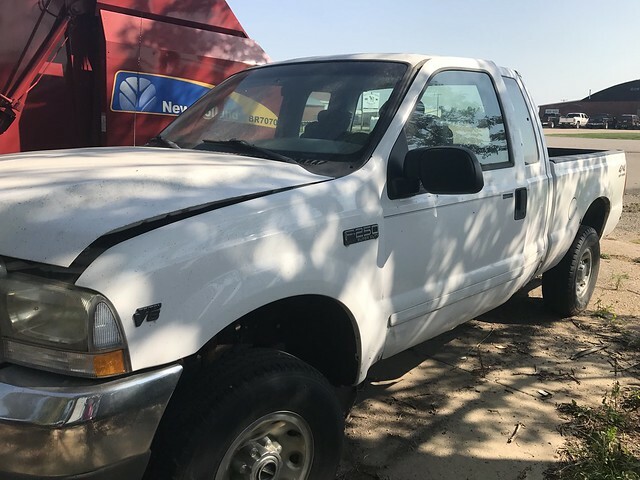 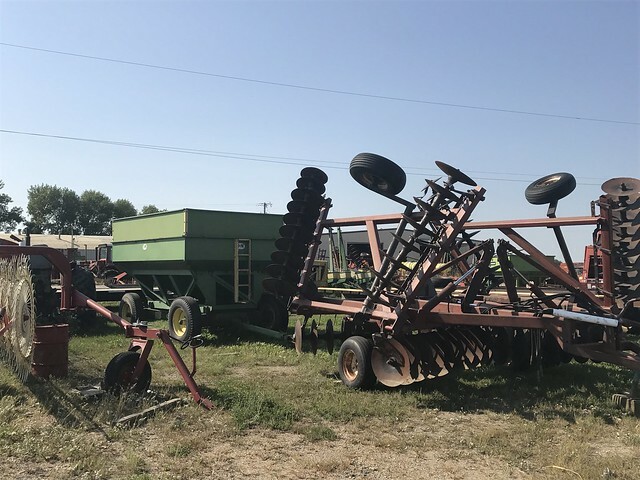 The auction will be held at the Terpstra business location on Hwy 30 East in Pipestone. 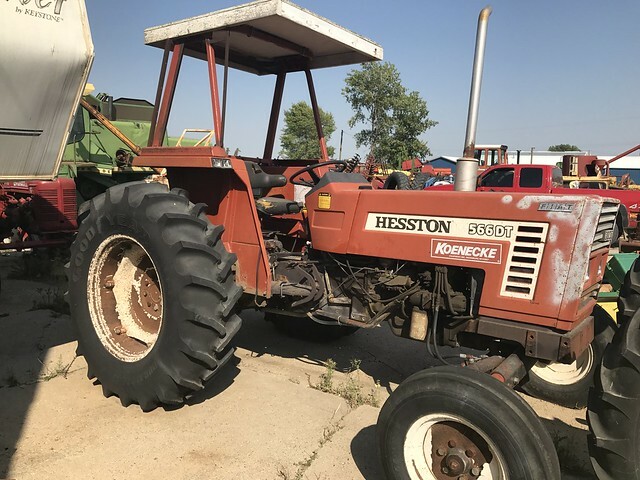 After 30 years in farm equipment sales at Pipestone Minnesota Rich Terpstra has made the decision to retire and do more fishing. 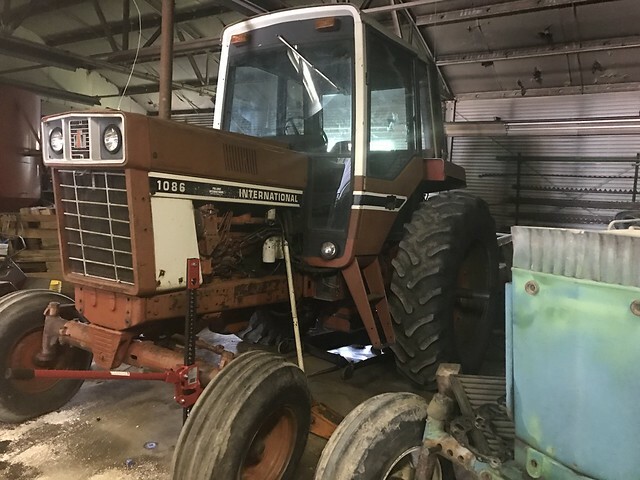 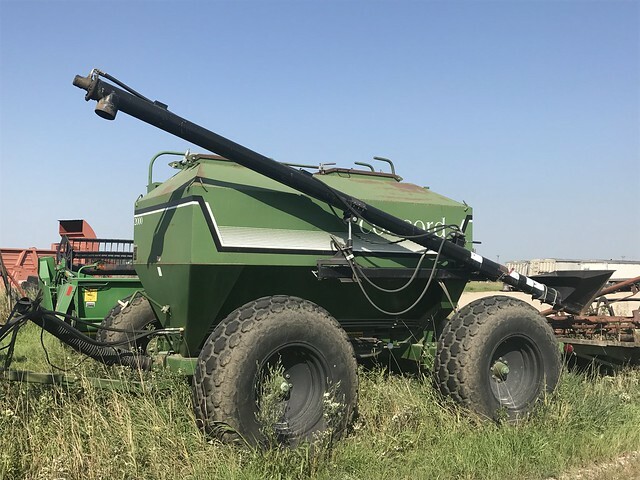 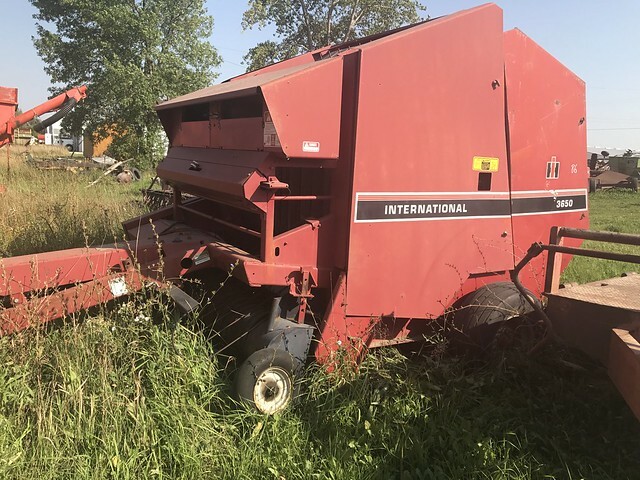 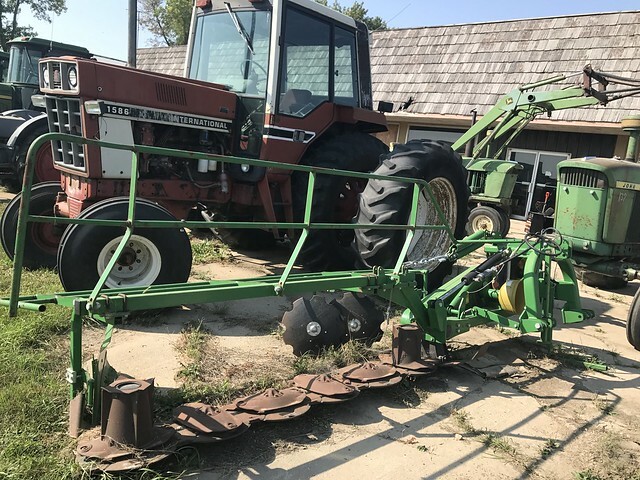 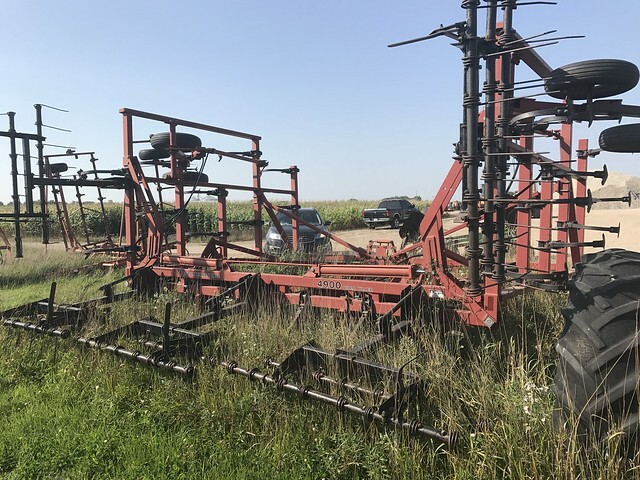 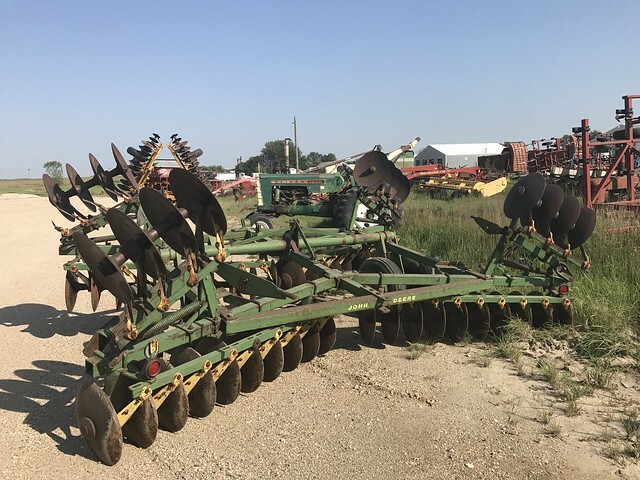 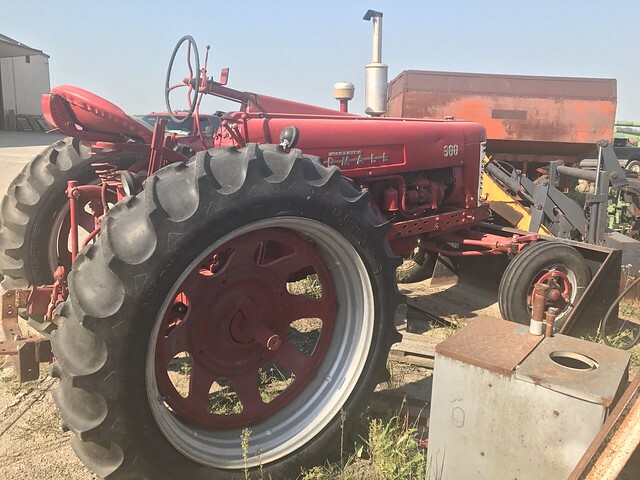 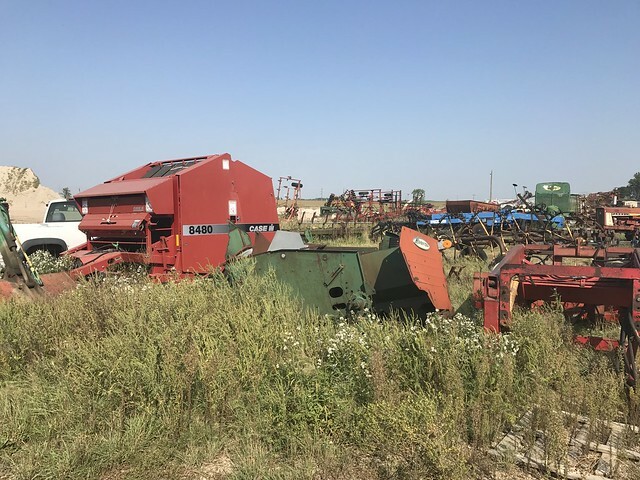 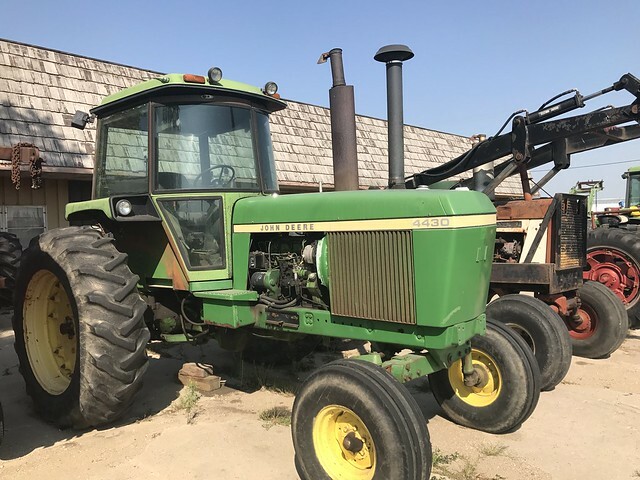 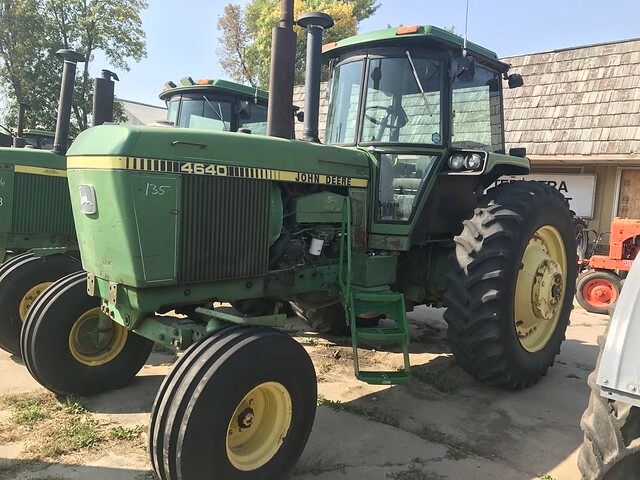 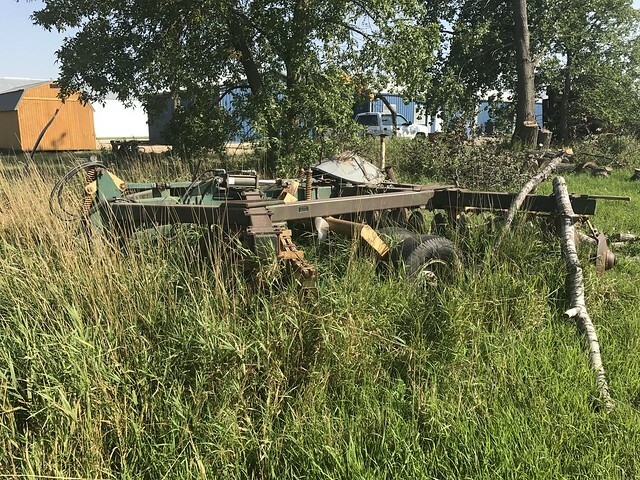 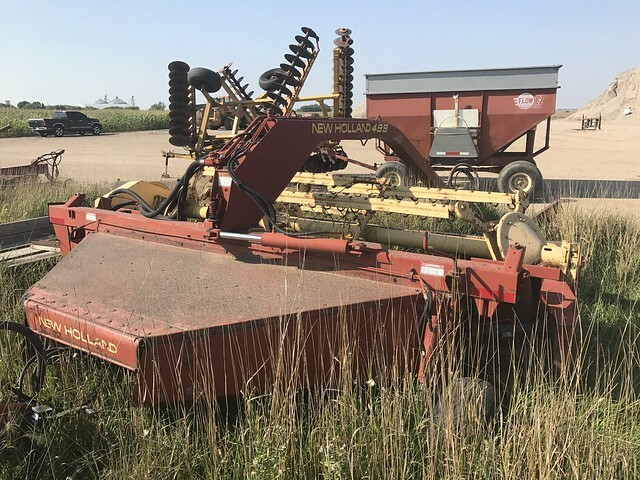 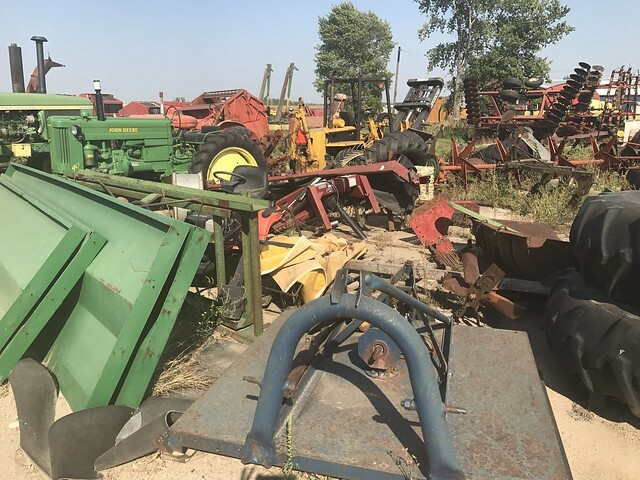 Rich is known through out the Minnesota, South Dakota and Iowa equipment network and has chosen to liquidate his entire inventory via public auction. 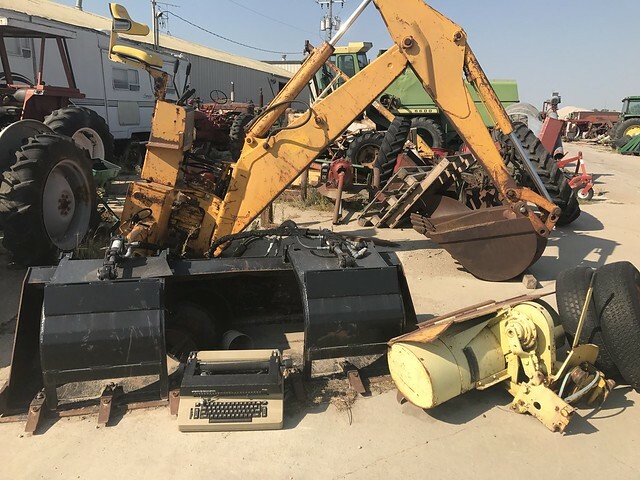 There will be 2 auctions. 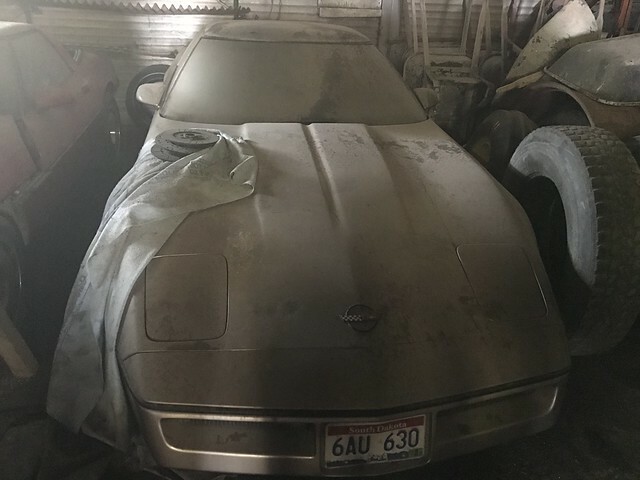 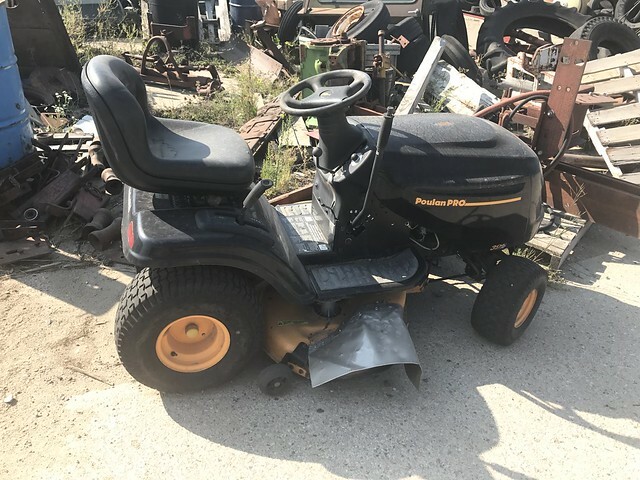 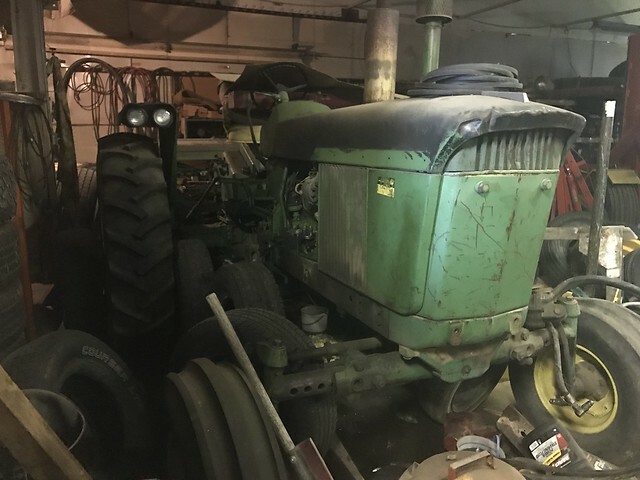 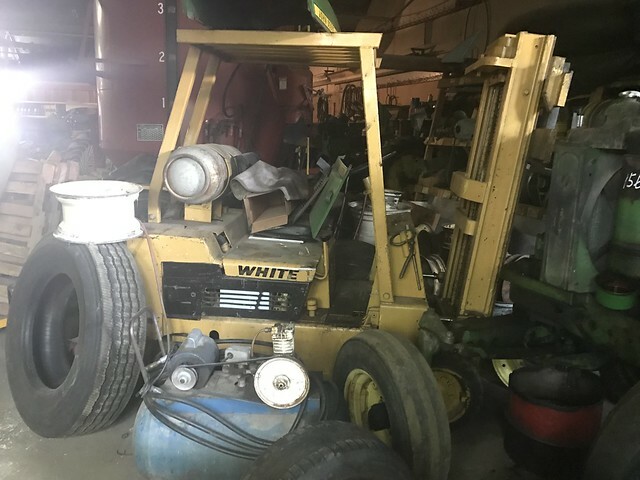 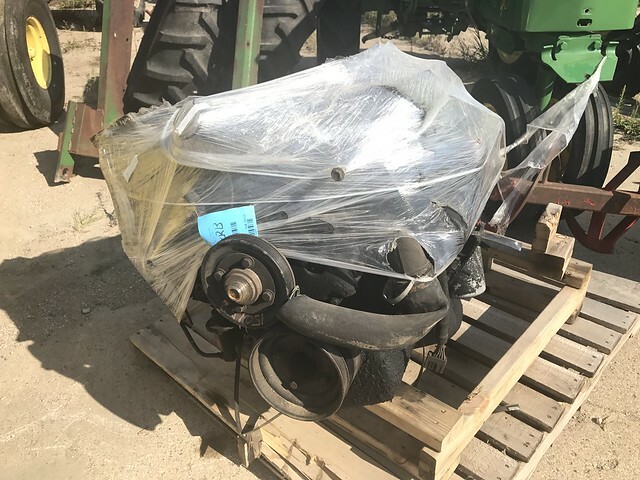 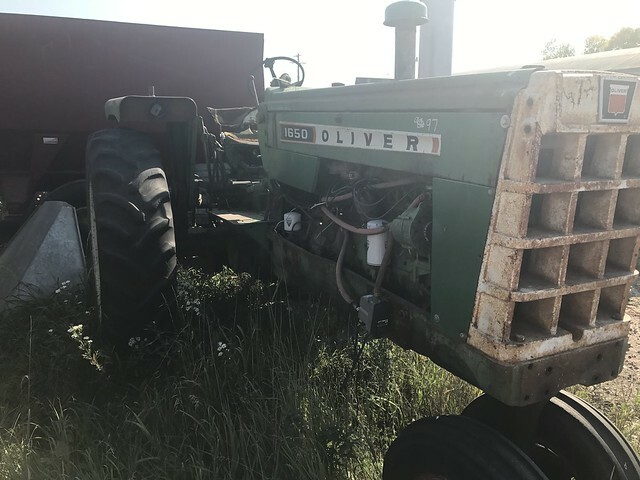 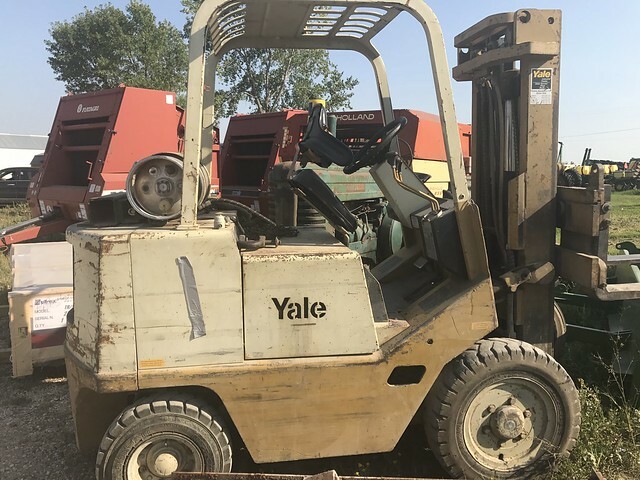 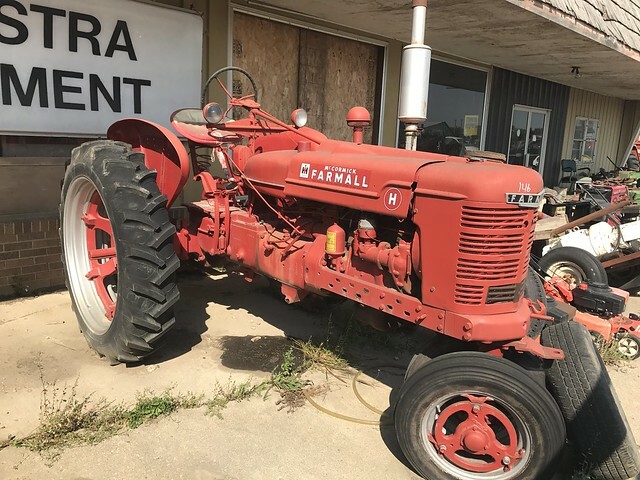 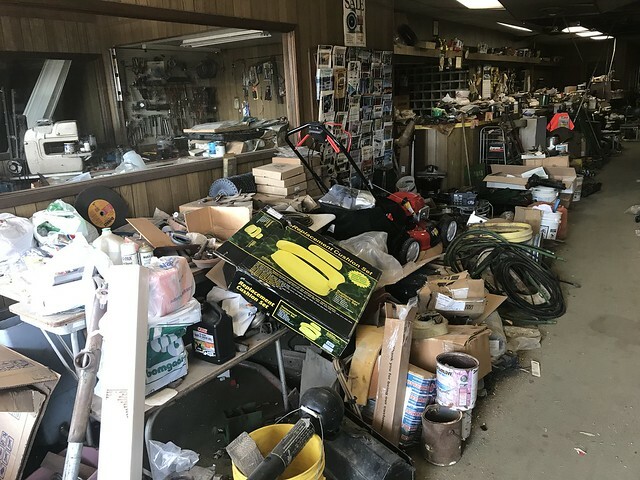 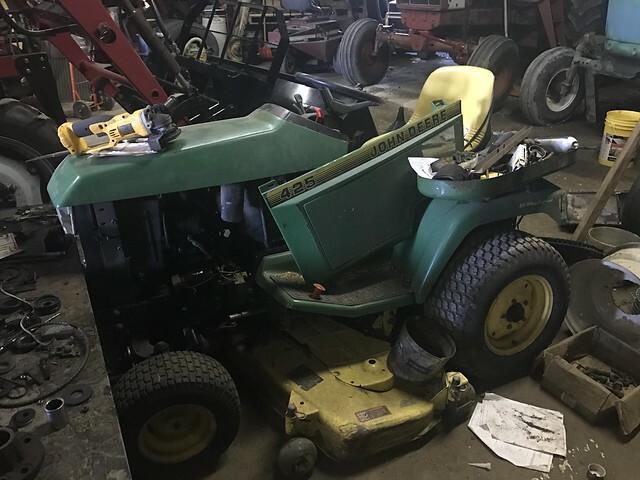 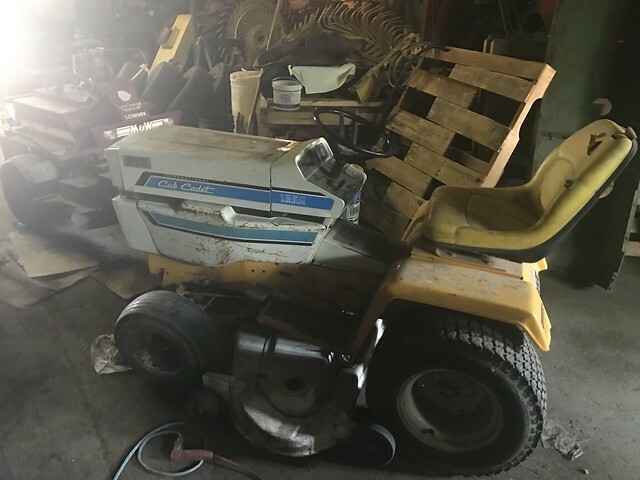 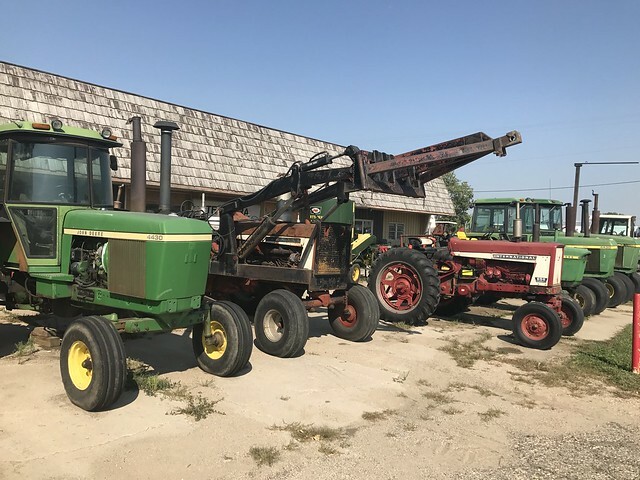 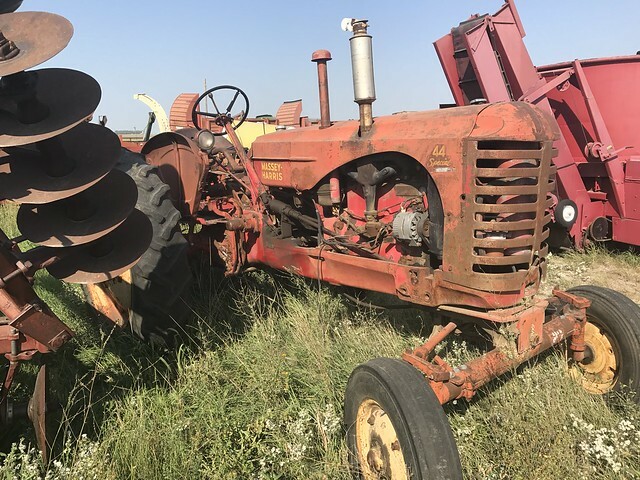 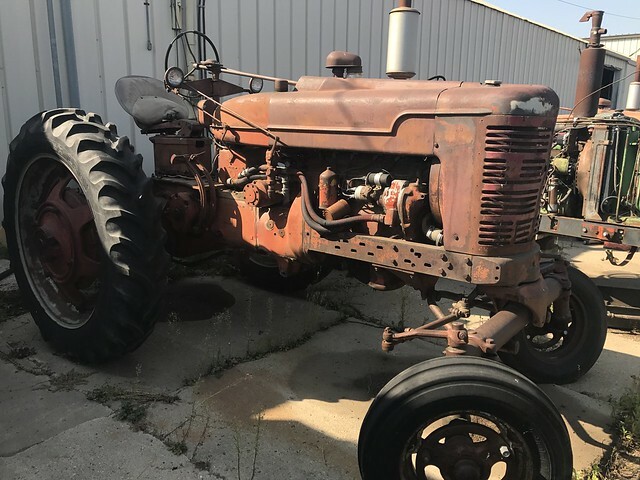 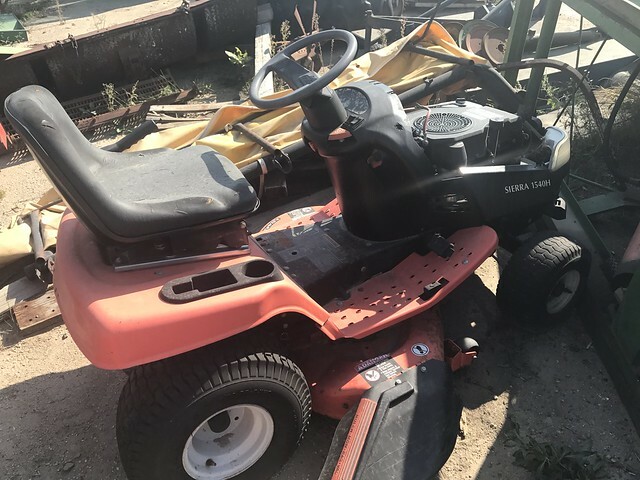 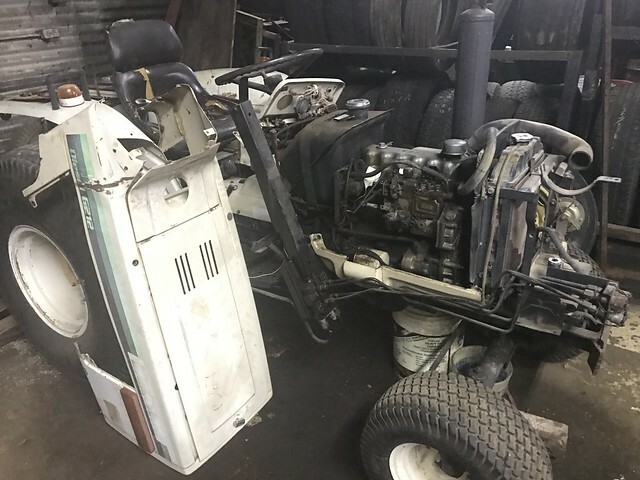 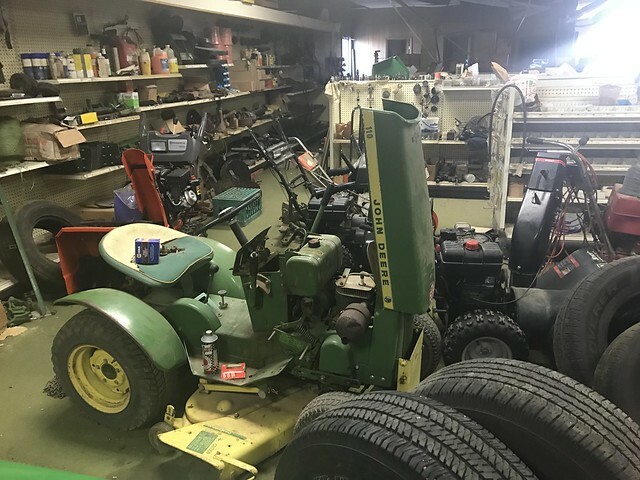 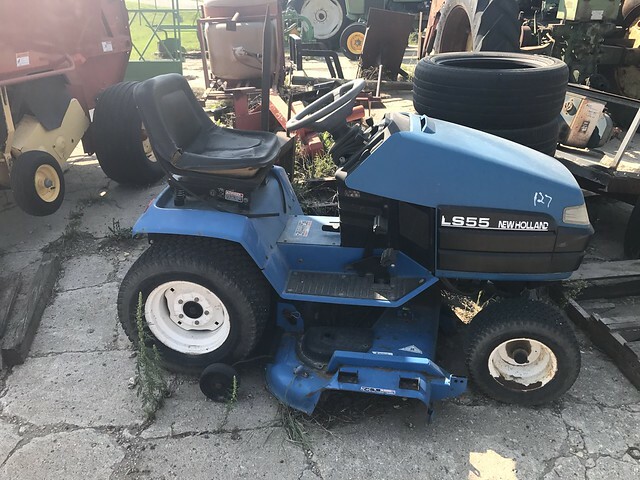 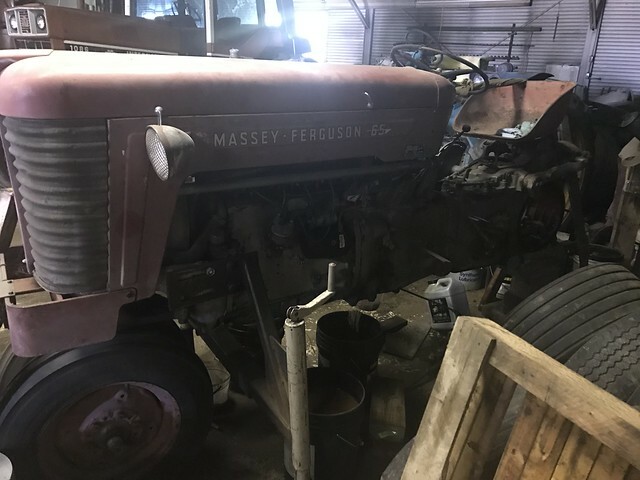 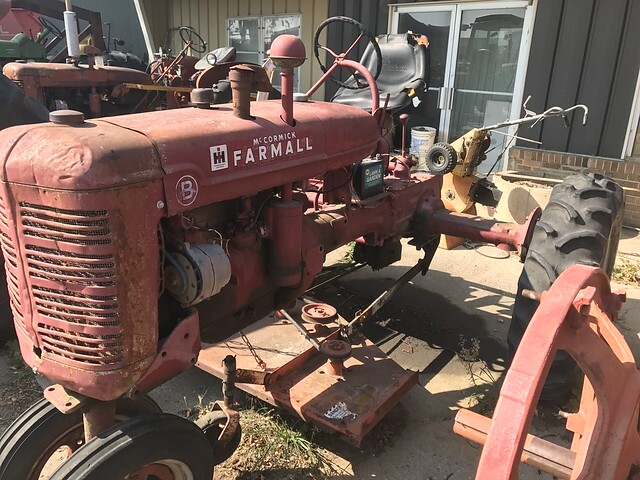 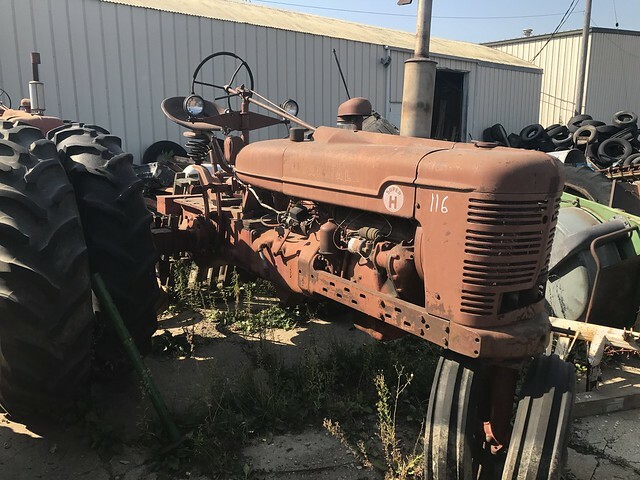 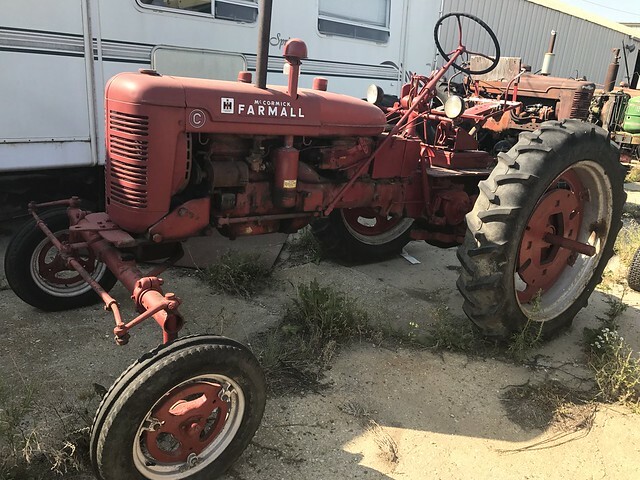 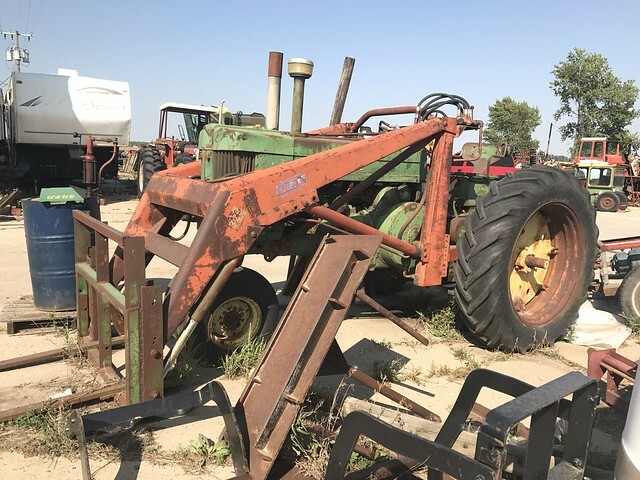 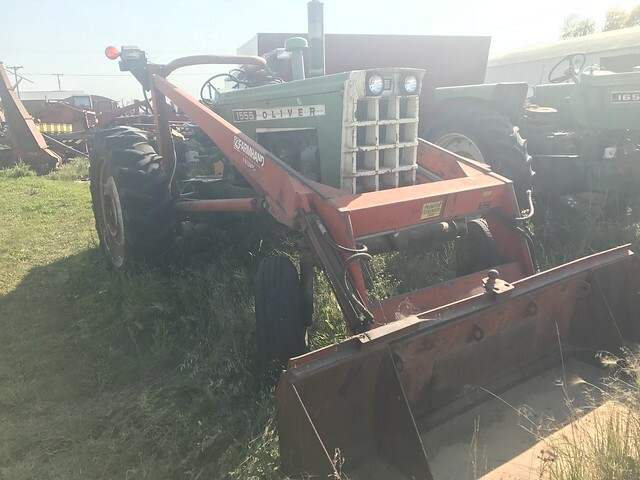 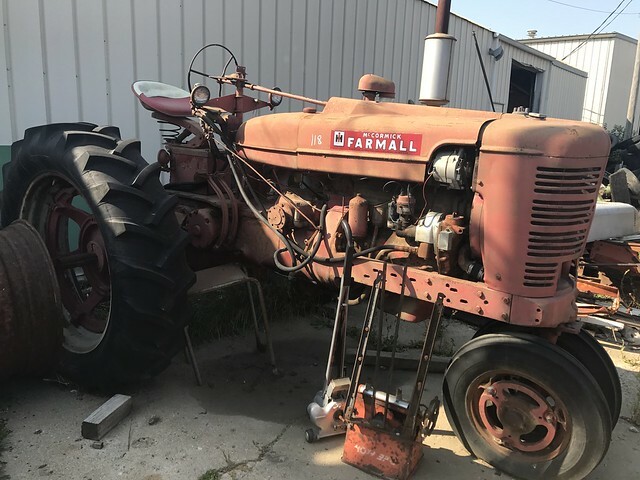 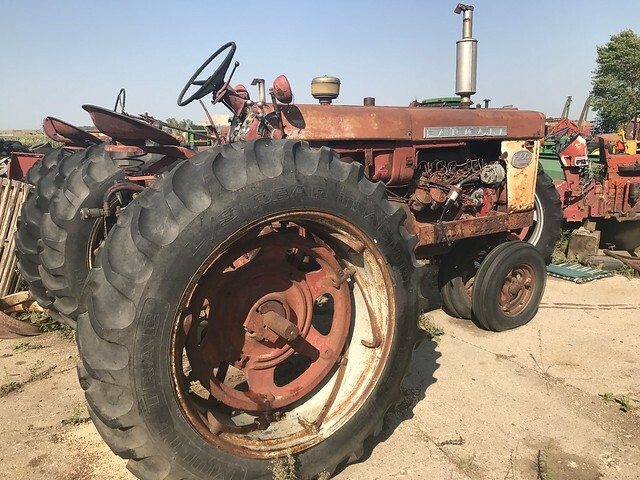 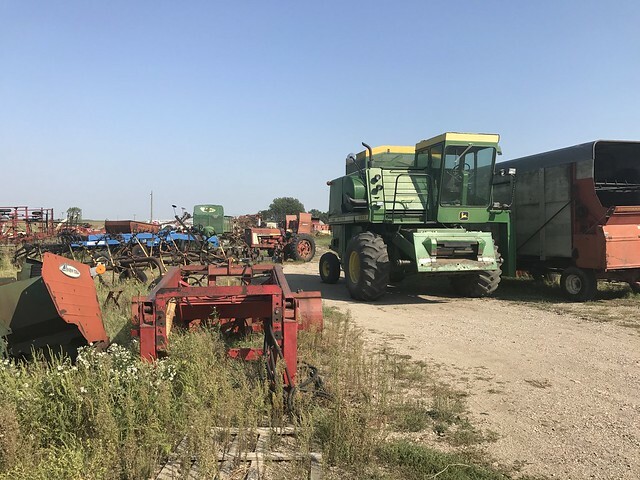 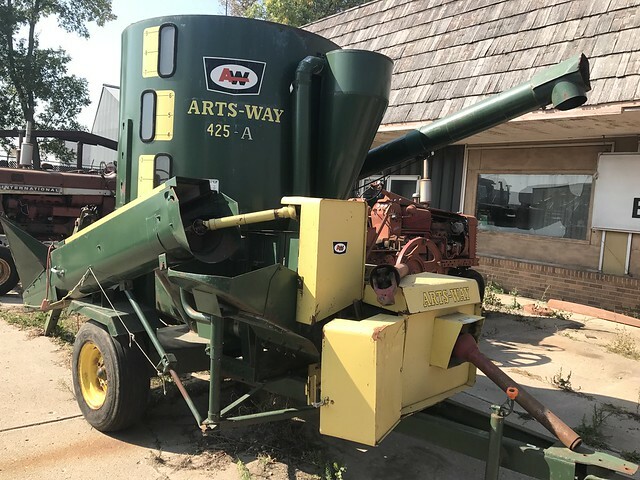 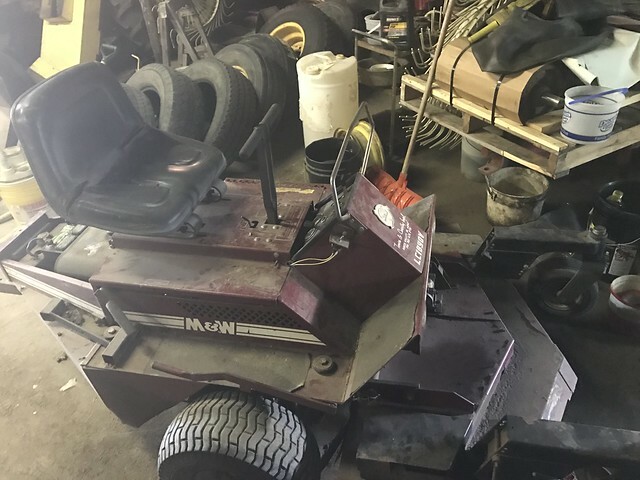 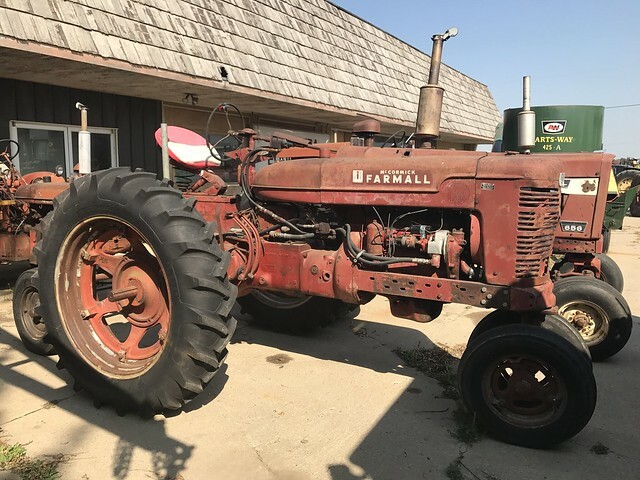 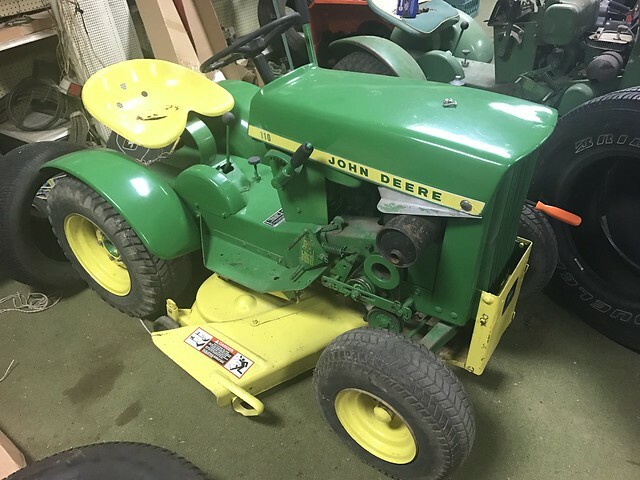 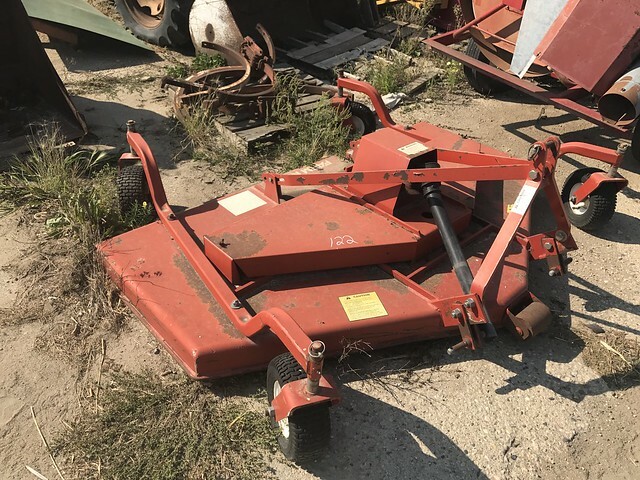 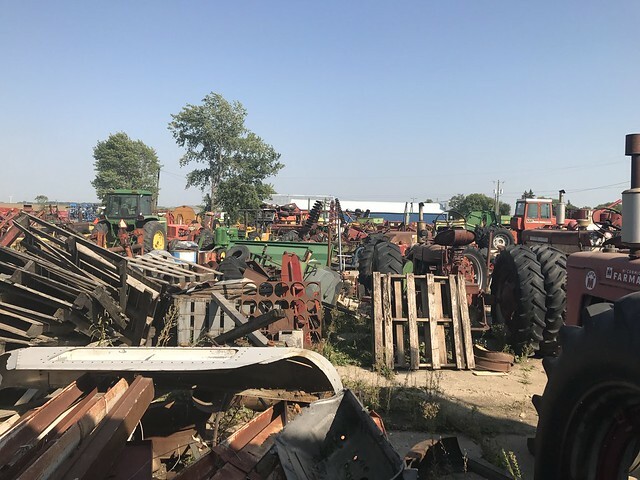 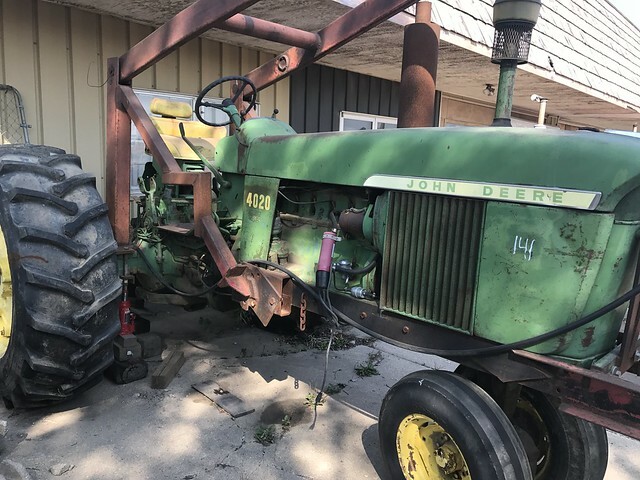 The first will sell all machinery and outdoor power equipment and the second auction in February will sell the entire contents of the building including inventory, tools and shop equipment. 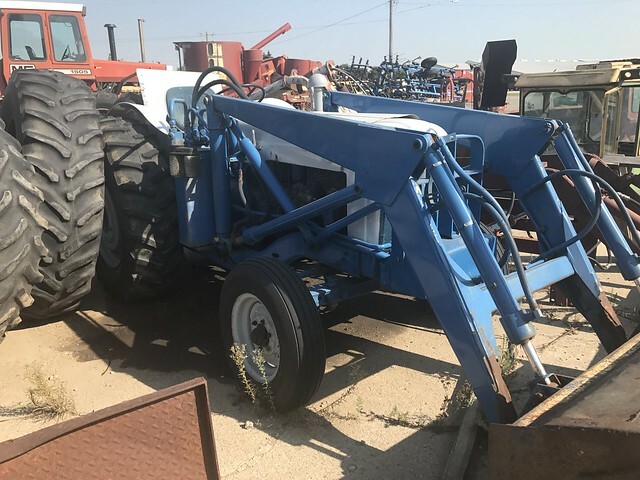 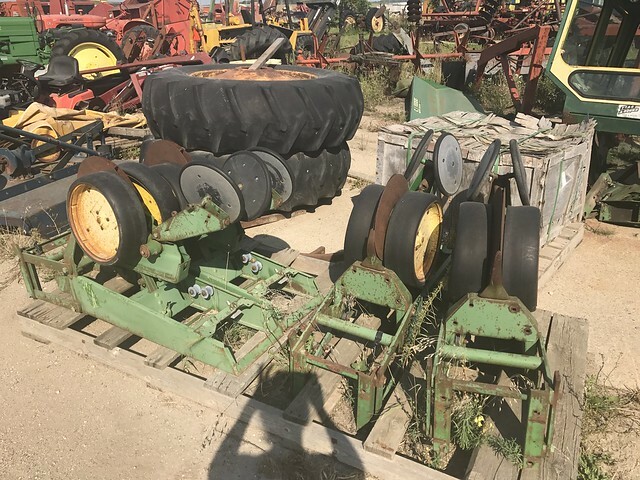 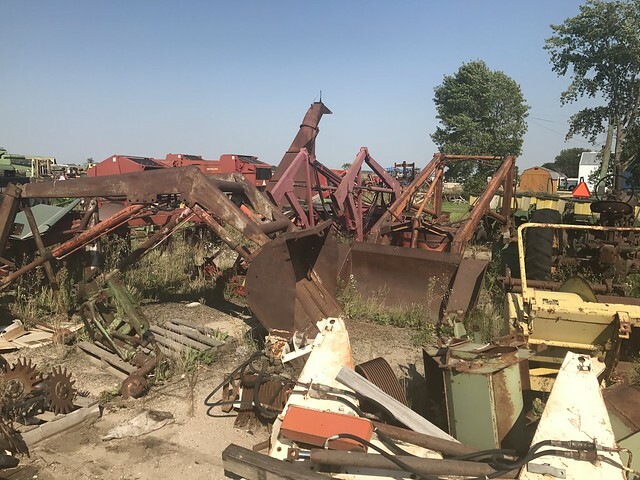 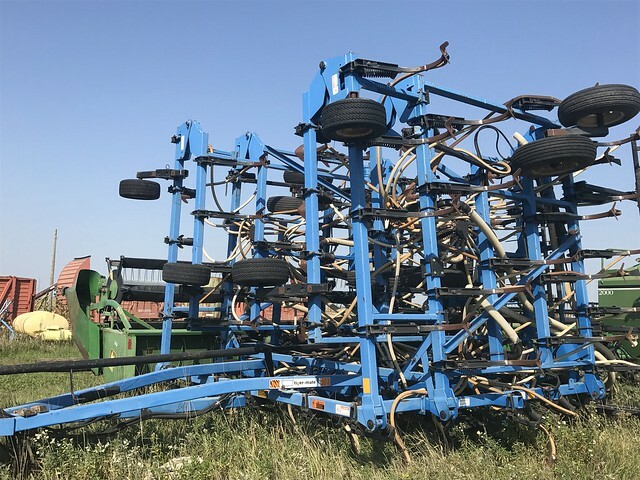 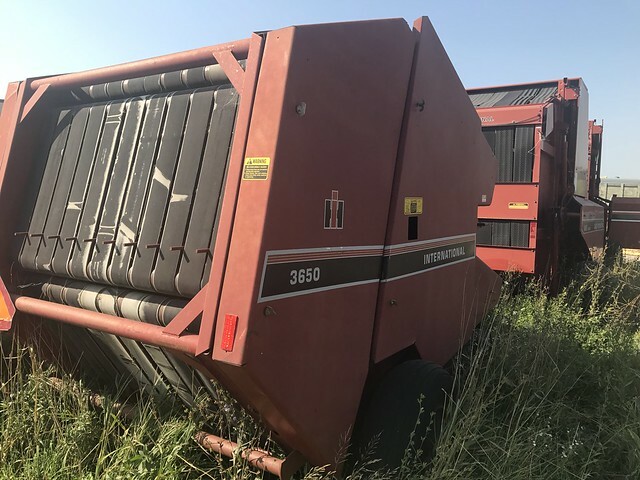 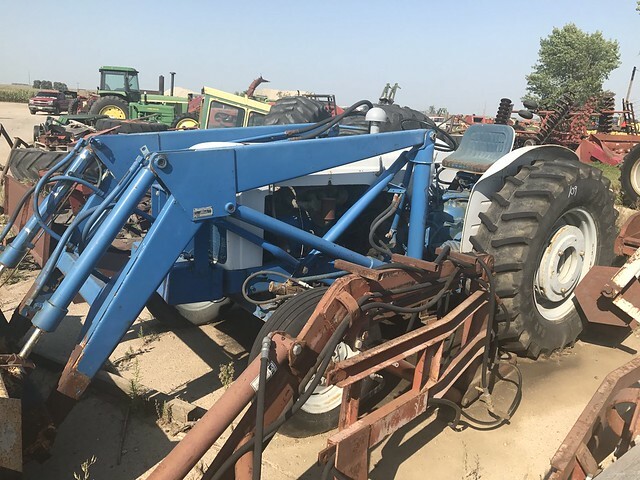 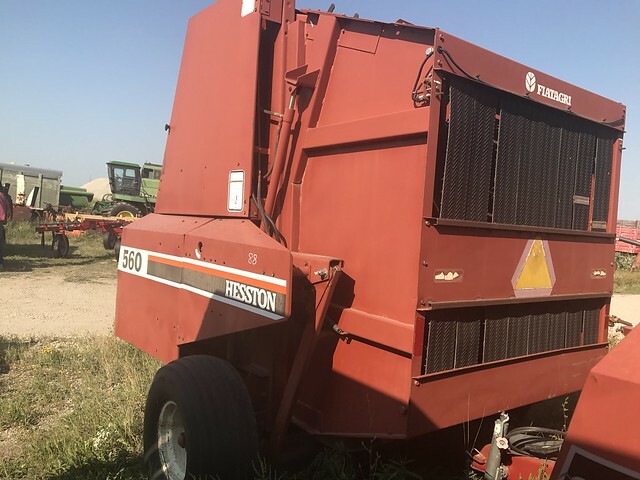 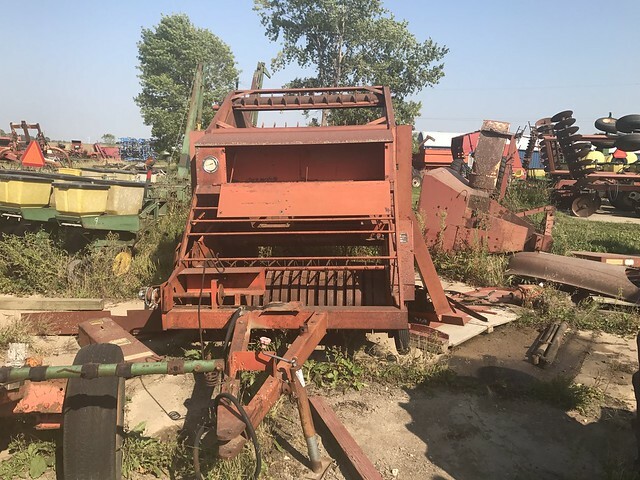 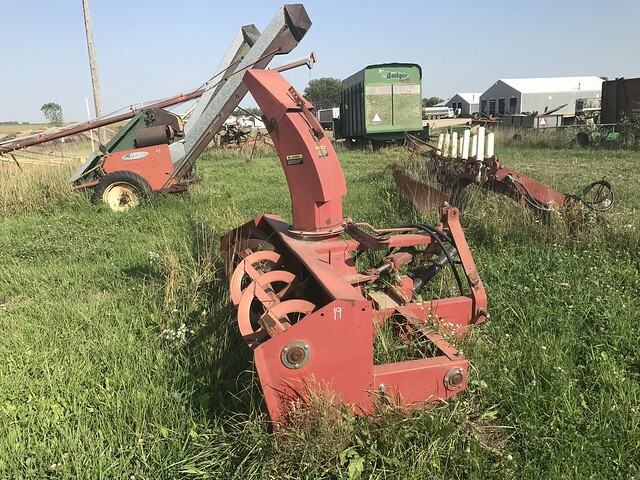 This first auction will be a full retirement liquidation of Terpstra Equipment farm machinery. 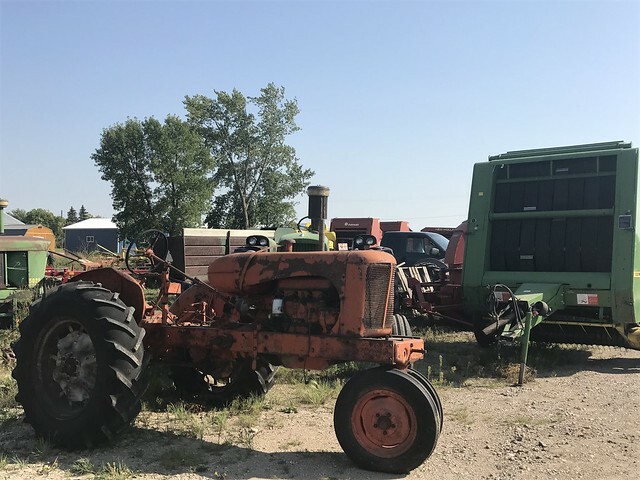 All farm equipment will be sold with live and online bidding. 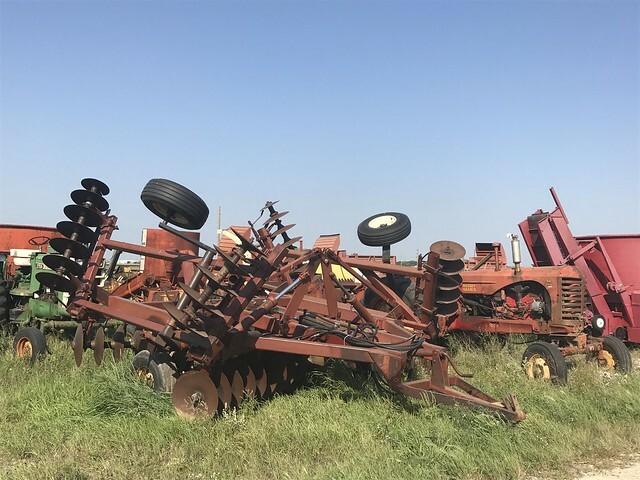 All equipment may be previewed after October 13th. 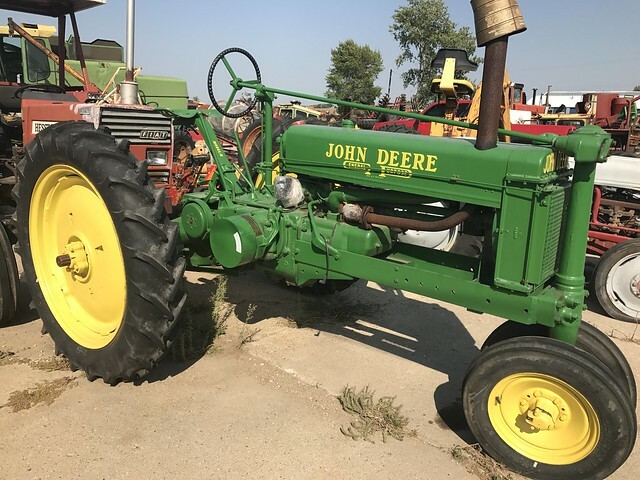 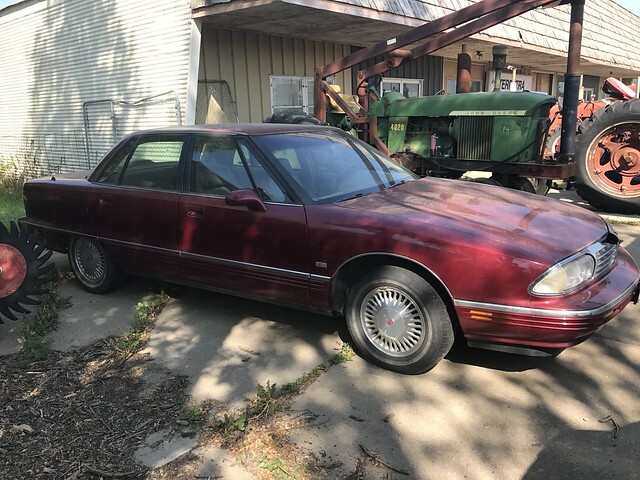 Contact Auctioneer Jason Smith 712-592-8965 with any questions. 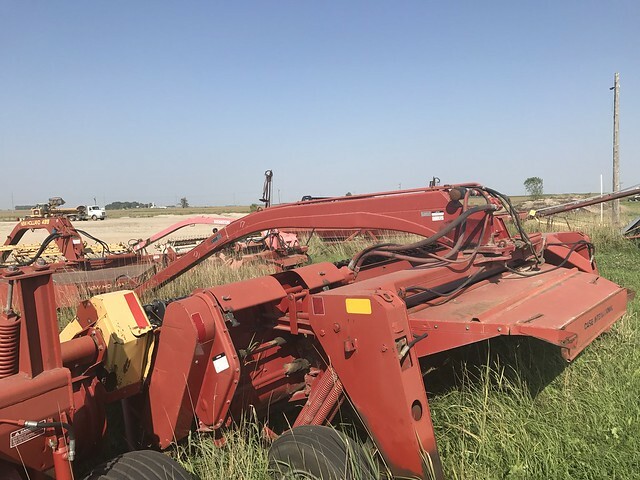 This is a large equipment auctiion with onsite and online bidding. 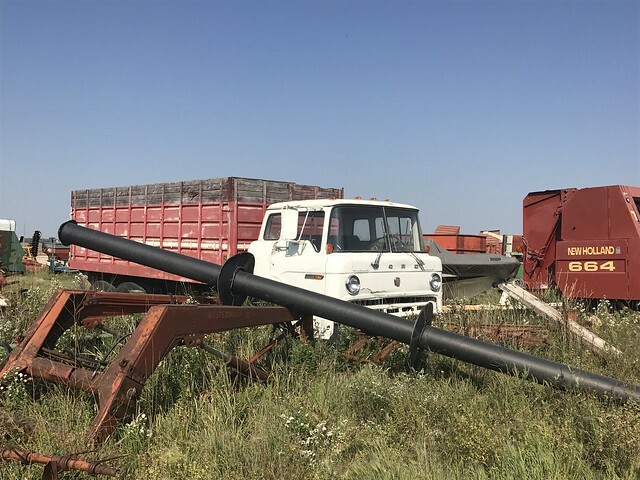 The auction will include 2 rings of bidding. 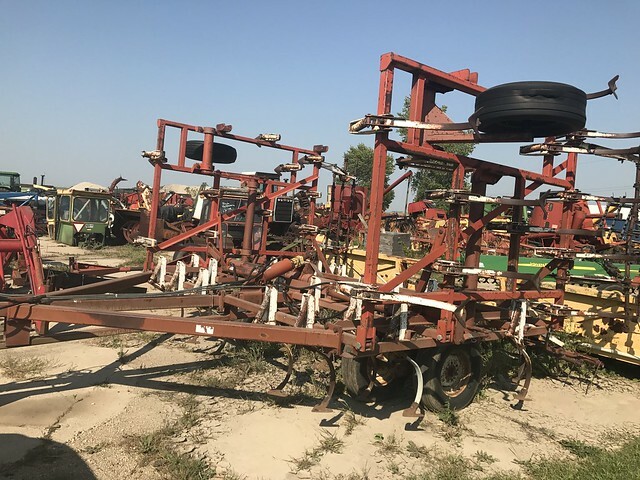 All types of farm and livestock equipment ranging brand new to used. 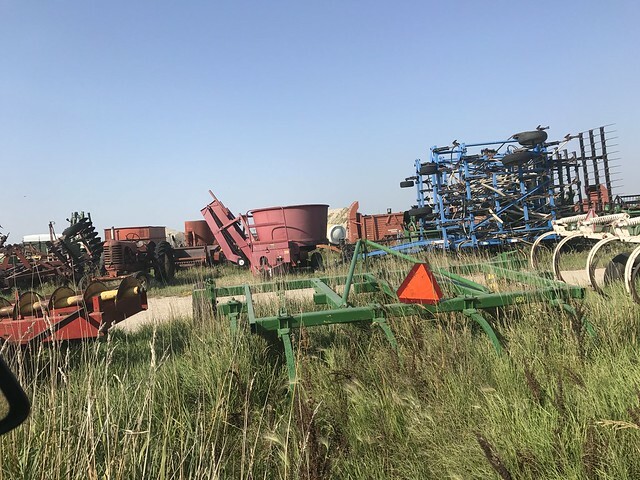 All equipment will be sold AS IS WHERE IS. 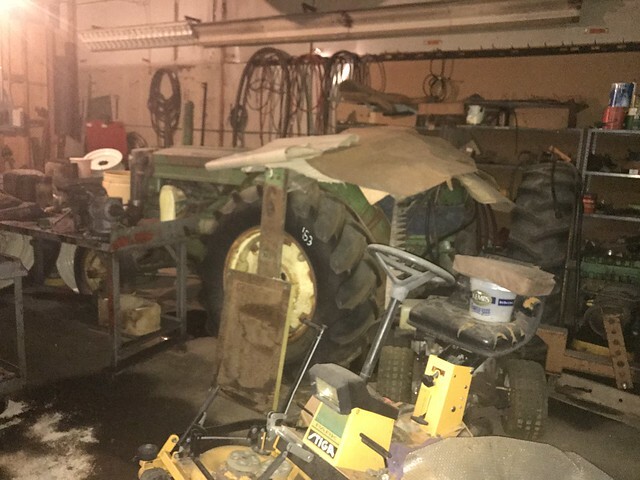 Rich believes all tractors are in running condition. 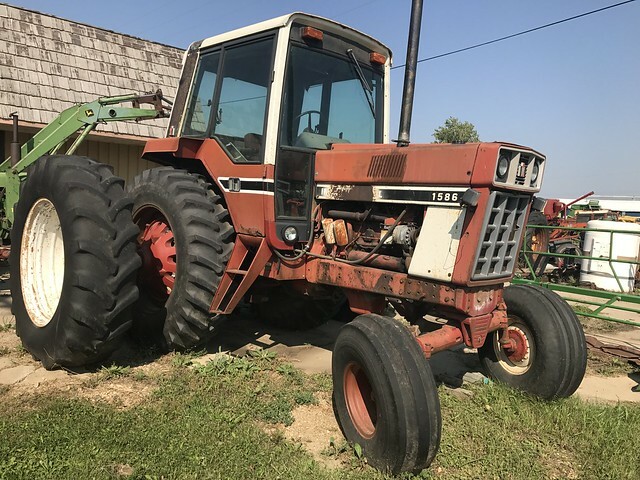 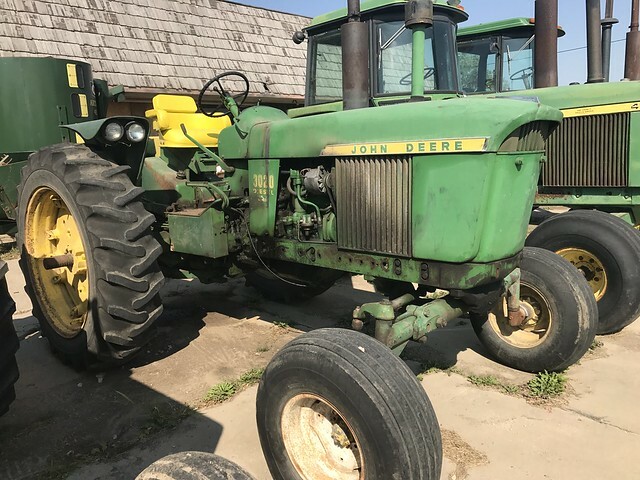 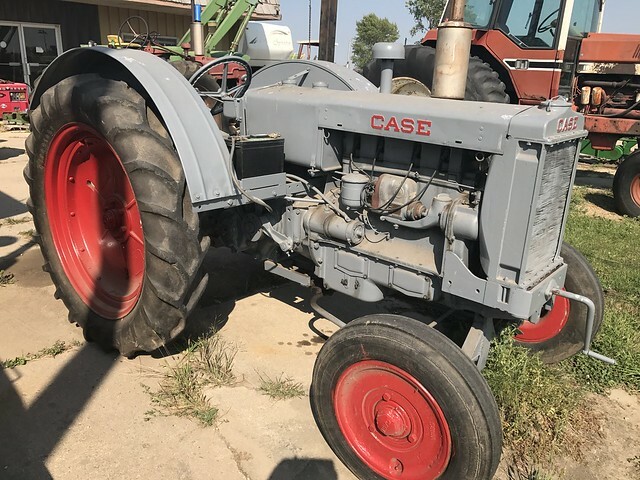 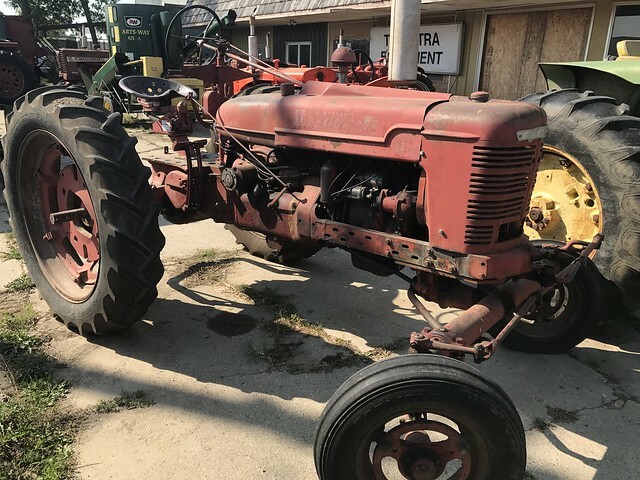 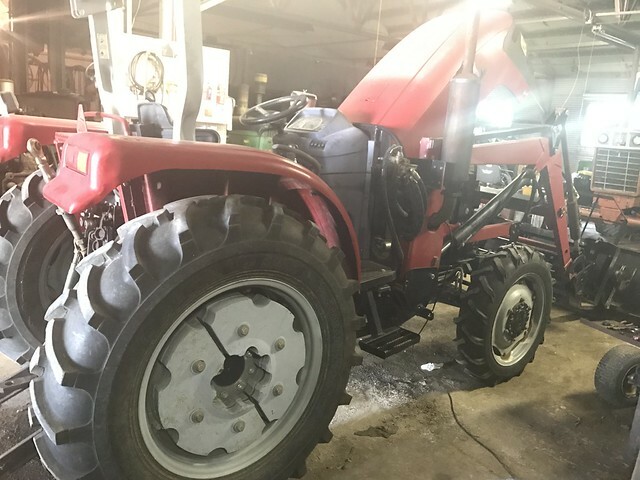 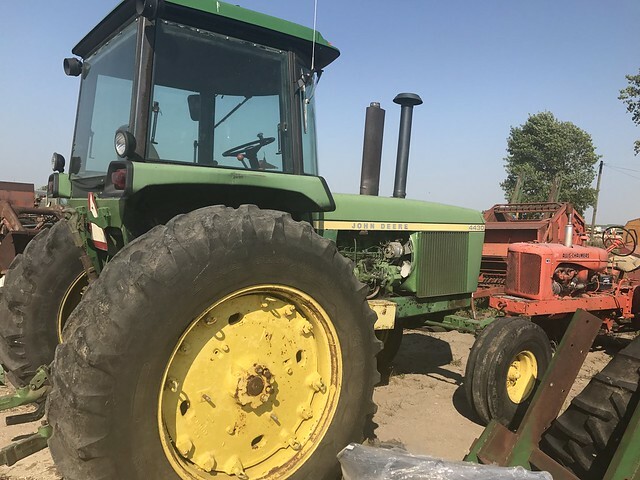 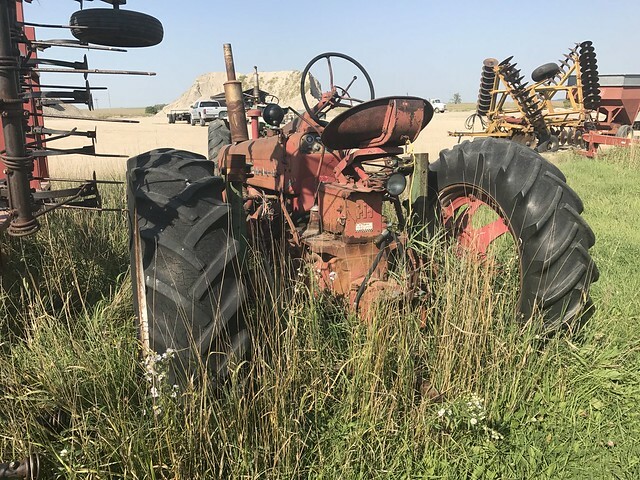 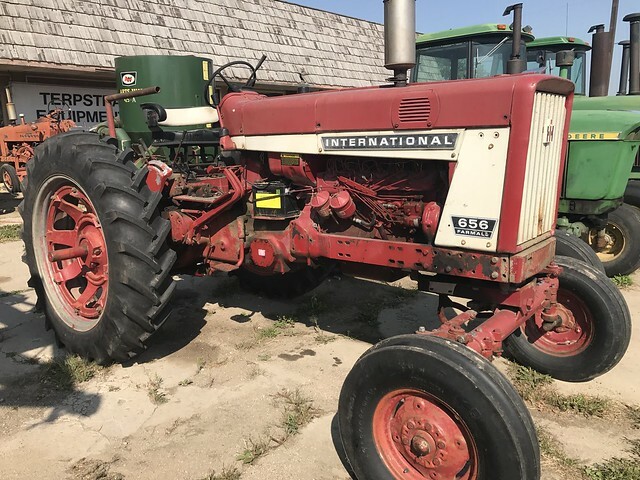 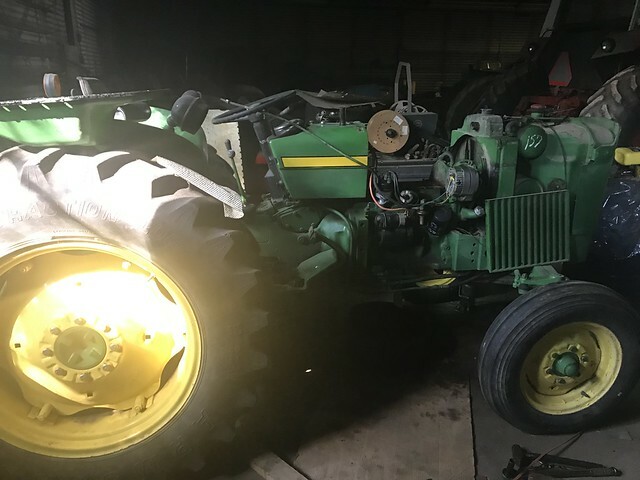 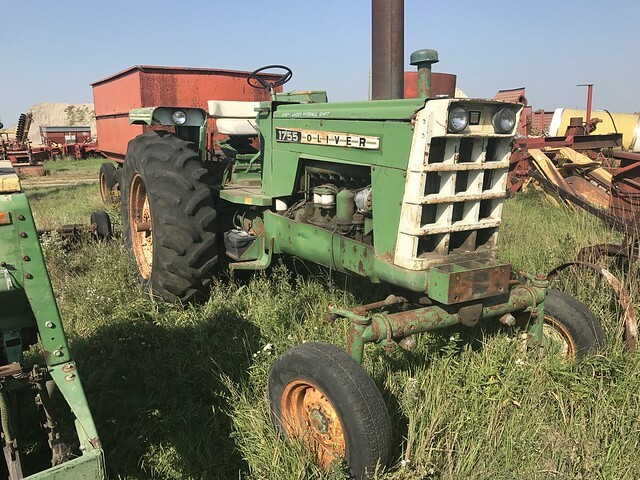 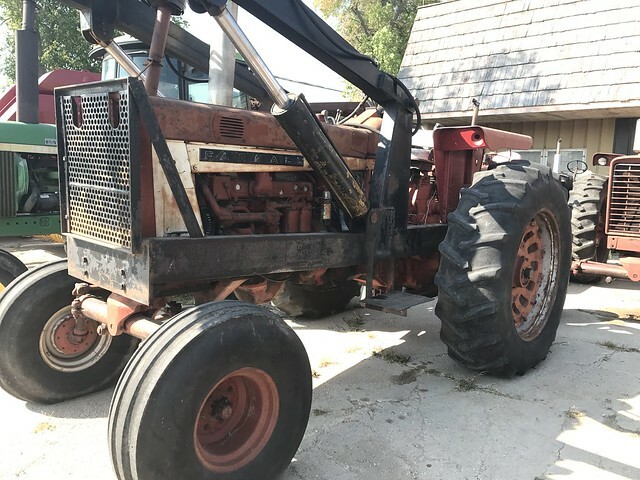 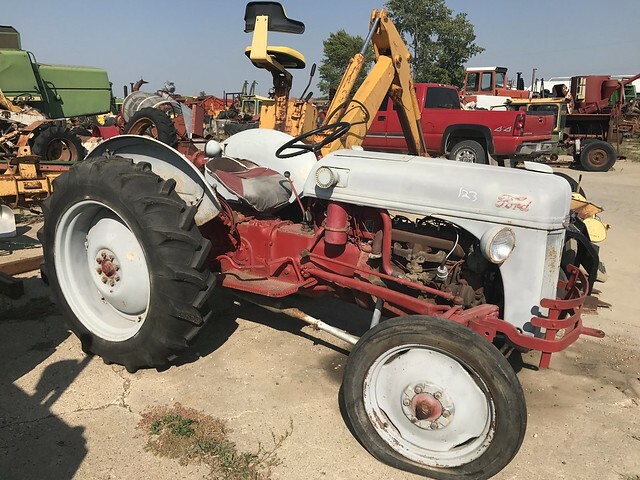 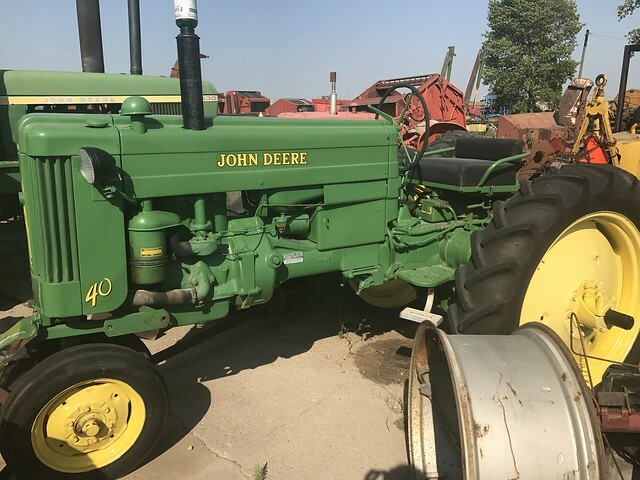 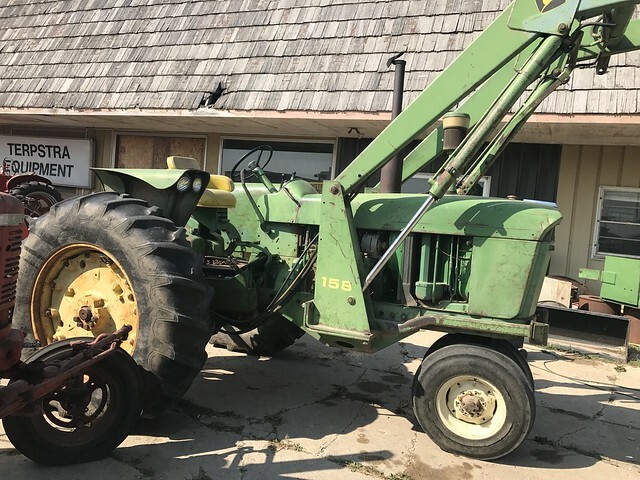 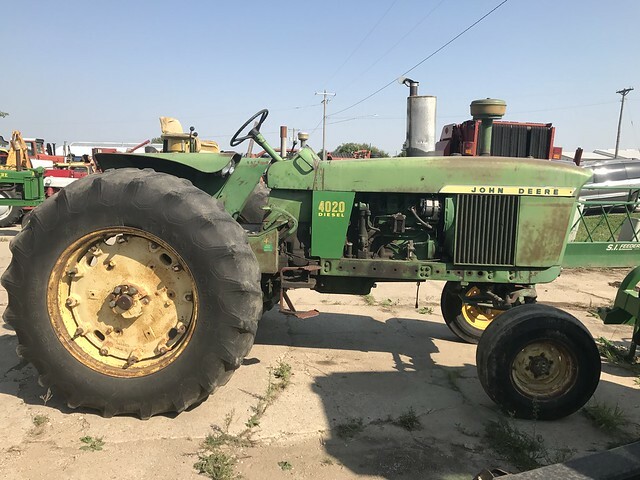 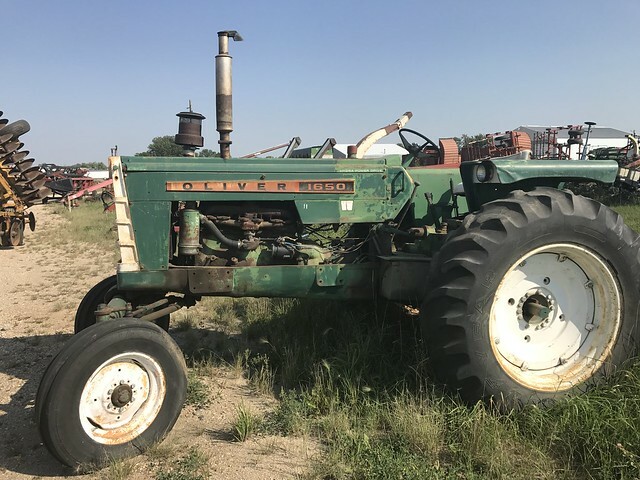 Several tractors will get some level of repair prior to the auction of which is mostly battery and tires. 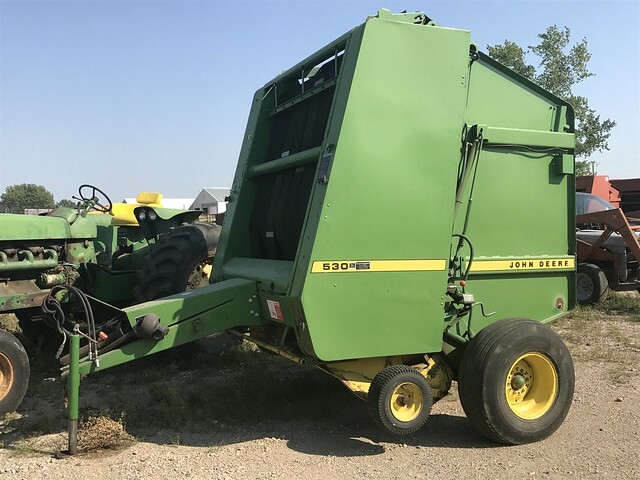 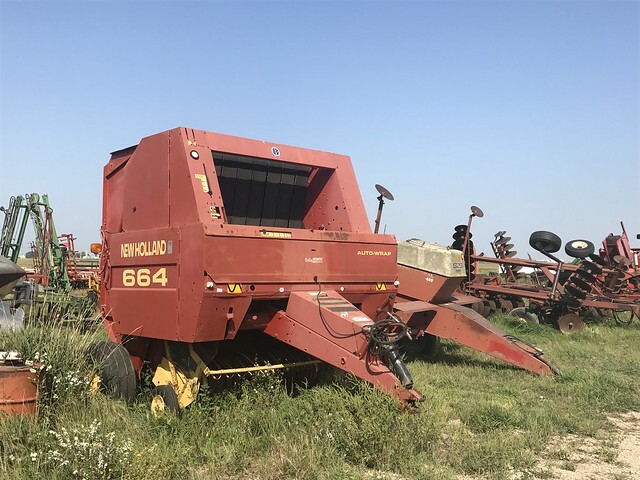 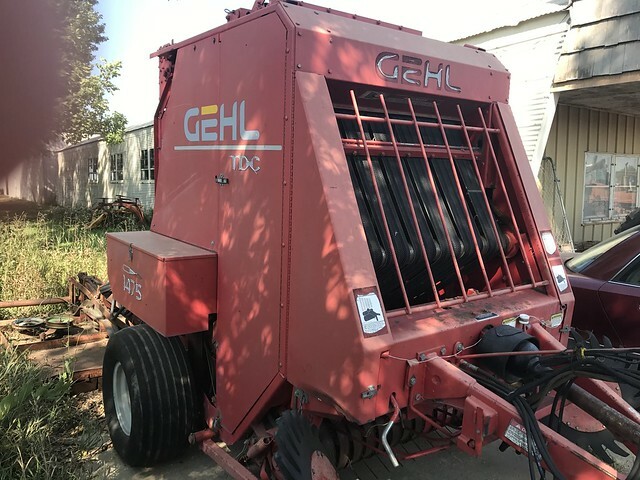 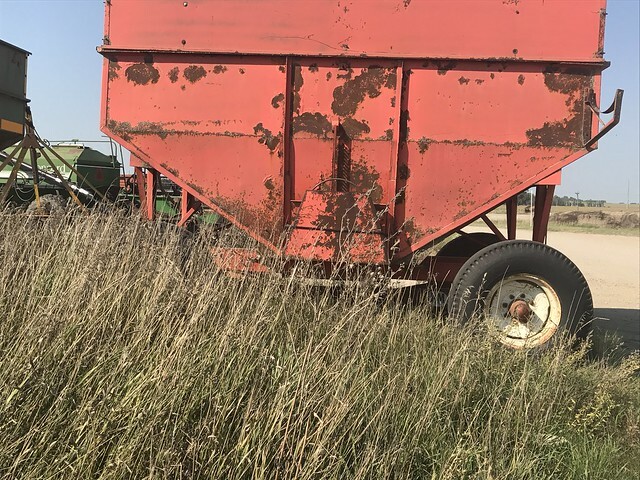 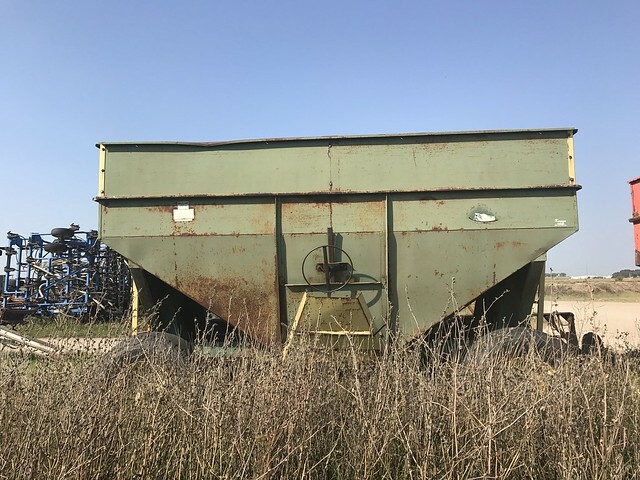 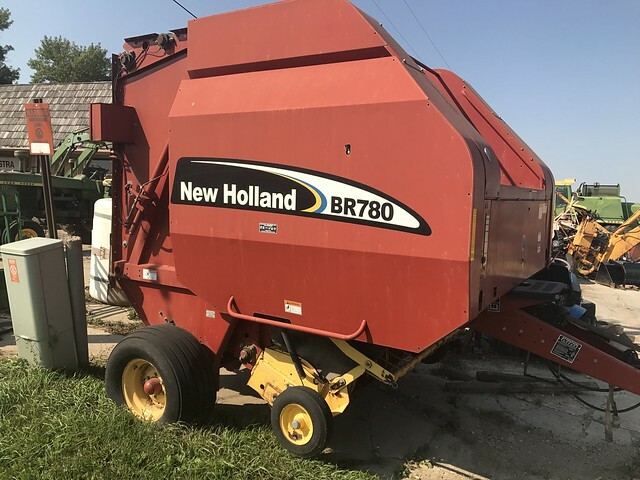 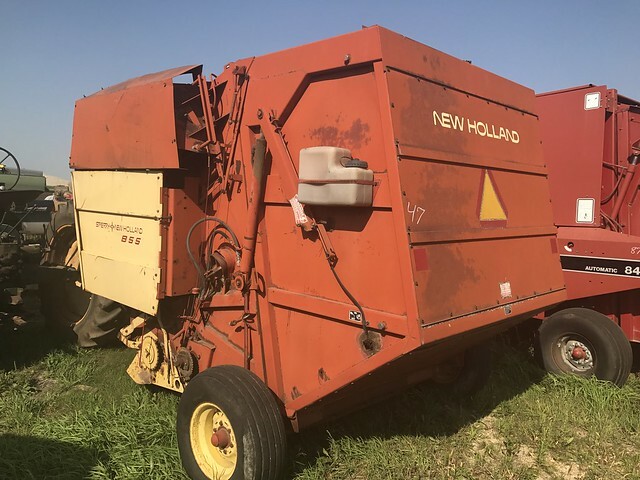 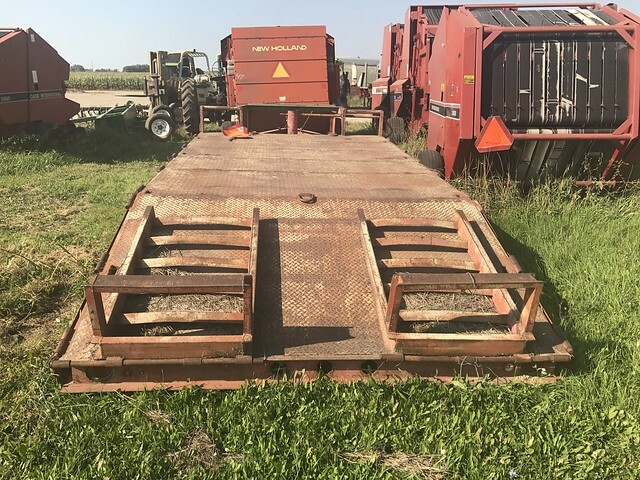 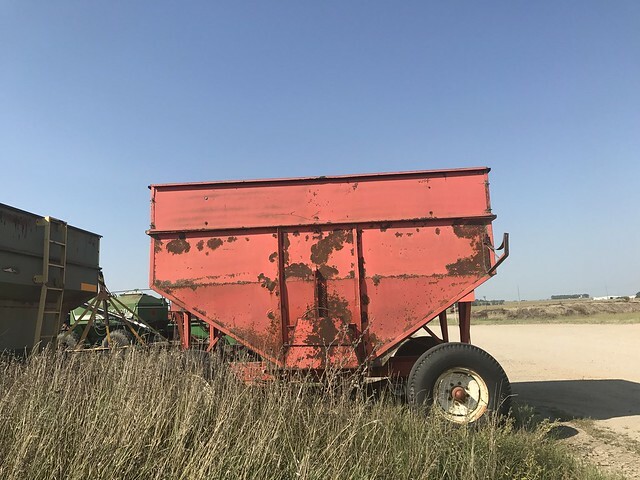 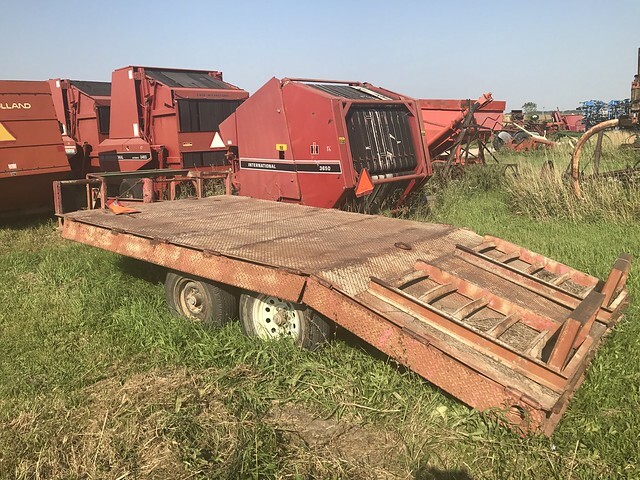 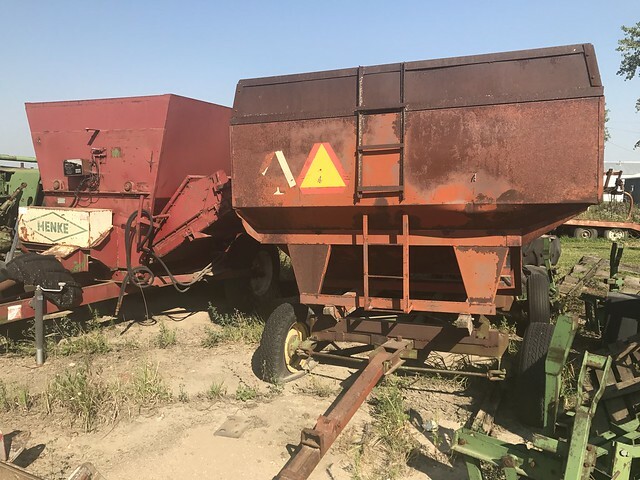 PARTIAL LIST; New Notch Bale Feeder, Flexi Coil 67 Sprayer, 12 Wheel Rake, International 55 Chisel Plow, J&M 350-20 Gravity Box, International 490 Disc, Hay Rack / Hauler, Hay Hauler Flat Rack, Misty Harbor Pontoon Boat with 50 HP Motor, H50 G Hough Payloader, Parker Gravity Wagon, International, Case Hay Rake, International 490 Disc, John Deere Hay Rake, IH M Tractor with Dual Loader, 2012 Trail Master Trailer, VIN # 5BEBF3638CC159668, Glencoe Soil Saver with Disk Chisel, International Loader, Case IH MRX690 Disk Chisel, John Deere GP B Tractor, DMI Colter Champ 2 HD, Hay rake, Case IH 8480 Round Baler, Cultivator 8 row, Farmall H Narrow front, Ripper, Chevy 2500 pick up, Loader, Leon 707 Loader with Grapple, Hesston Stack Mover, McCormick Farmall 656 Diesel, Minneapolis Moline chisel, John Deere 4020 narrow front propane, Allis Chalmer WD 45 Tractor, New Idea Bale thrower, Oliver 1650 Tractor, Loader, 430 Model 4 Row Head, Farm King Gravity Grain Box, John Deere desk with tongue hitch, International 73 Cultivator, John Deere disc with wings, John Deere 825 Cultivator, PTO mower, 2 Bottom Plow, AMCO Disc, 720-830 Two Row Silage Cutter, Pull type dirt scraper, Head Cart Trailer, New Holland 499 Mower Conditioner, Loader Bucket, Hesston 1014 Hydro Swing Mower, International bean drill with markers, Case IH 1020 Platform with Head Cart, CaseIH 4900 VibraTiller, Cultivator, Flow EZ Gravity Wagon, Auger, Brady 3 Pt Chisel plow with 3 Bar Harrow, IH Drill, New Idea, 326 Corn Picker, New Idea 326 Corn Picker, Head cart, Badger BN 950 Forage Wagon, Case Internations 8370 Mower, New Holland 116 Mower Conditioner, Farmlall 300 with John Deere 45 Loader, Koyker Manufacturing Loader, John Deere Trailer, John Deere Trailer, Notch Bale Feeder 24 Foot, New, Rotary Hoe Wheels, Allis Chalmers WC Tractor, Allis Chalmers Field Cultivator, Pig Transfer cart, International 400 Planter, 8 Wheel Hay Rake 3 Pt Mount, Badger Forage Wagon, 3 Bottom Plow, 3 Pt mount Hydraulic Snowblower, Kinze 4 Row Planter w/ Fertilizer, Hiniker Econ-o-Til, Loader, Antique Plow, Wil-Rich Cultivator, John Deere Head Cart, IH Plow, Hesston 30A Stakhand, Hesston 30A Stakhand, Barge Box, Ripper, John Deere 1450 Plow, Hesston 30A Stakhand, Pull Sprayer, Auger, Head Cart, LMC Model 100 Feed Grinder, Gehl Silage Chopper, Farmhand Feed Master 810, Sperry New Holland 855 Auto Wrap Round Baler, Small Disc, PTO generator, Ford 8N Tractor with Loader, WL 42 Westendorf Loader, IH Loader Mount, Loader, Feed wagon, John Deere 6600 Combine, Loader Bucket, Westendorf Loader Bucket, International Loadstar Truck with Flatbed, Cart on Castors, John Deere A2600 5 Bottom Plow, Forage Pick Up, Alloway Woods Flair Shredder, John Deere Turbo 7720 Combine, Minnesota Brand 10 Ton Running Gear, John Deere 5020 Tractor Diesel, John Deere 4020 Tractor, Loader, Loader Bucket, Schweiss PTO 3 Pt Snow Blower, John Deere Front End, Harrow Section, Running Gear, Sickle Bar, Head, Forage Pick up, Lundell 3400 Snow Blower, PTO Snowblower, Loader, Antique Plow, Forage pick up, Rock Picker, Gravity Box on Gooseneck Trailer, Hiniker No Til unit, Vermeer R21a Double Hay Rake, Sprayer Boom, International 400 6 Row Planter, New Holland 890 Forage Cutter, Sylvan Boat, Rock Picker, Melroe Forage Harvester Head, Ford F250 Extended Cab Pickup, Gehl 1475 Round Baler, PTO Mower, 1996 Oldsmobile Ninety Eight Passenger Car, VIN # 1G3CX52KXT4303062, New Holland BR7070 Round Baler, John Deere 4430 Tractor, John Deere 4020 Tractor, International McCormick, Farmall C Tractor, International Farmall 656, International Farmall 656 Tractor, John Deere 3020 Diesel Tractor, John Deere 4430 Tractor, John Deere 4640 Tractor, International 1586 Tractor, John Deere 4020 Diesel Tractor, Disc Mower, International Farmall H Tractor, Jinma 754 Tractor with ZL70 Loader, John Deere 314 Mower, Allis Chalmers WC Tractor, Arts Way 425A Feed Grinder Mixer, McCormick Farmall 300 Tractor, McCormick Farmall H Tractor, Ariens Push Lawn Mower, Ariens Push Lawn Mower 5HP, John Deere 1032 Snow thrower, Craftsman 29 Inch 9 HP Snow Thrower, New Notch Bale Spear, Areins Snow Thrower, Tahoe 7000LXH Diesel Generator, 6 John Deere Weights with Bracket, 10 John Deere Weights with Bracket, 10 John Deere Weights With Bracket, Skid Steer Bucket Pin Attachment, 2 SI Feeder Panels, Bulk Storage Tank, New Holland BR780 Round Baler, 84 Inch Rock and Brush Grapple Bucket, John Deere 4430 Tractor, John Deere 3020 Narrow Front Synchro, John Deere 220 Bean platform with trailer, Newer Industrias America Box Scraper, Case VA C Tractor with Belly Mower, John Deere Tractor Model 40, Ford 8N Tractor, Gehl TR3038 2 Row head, John Deere Hay Rake, 800 Work Master Loader with bucket, Skid Steer Bucket, Running Gear, Krause Disk, International Cyclo Air 800, 3 Bottom Plow, Westendorf Loader, Ford Grain Truck, Ford 8N Tractor, New Holland 664 Baler, International 400 Cyclo Air, John Deere 935D Grain Drill, Oliver 1755 Tractor, Massey Harris 44 Special Tractor, International Hay Tub Grinder, 47’ DMI Field Cultivator w/ 3 Bar Harrow and Dry Fertilizer, Concord 2000 Tender, J&M Gravity Wagon, 12’ Grain drill, John Deere 925 Bean platform, G&M Manufacturing Ripper, Soil Saver, Ripper, IH 490 disc, Homemade Head Cart, Field Cultivator, Vermeer 605 Series K Round Baler, Blade, John Deere Rake, Killbros Gravity Wagon/Tender, Brand New Columbia TR9-S 10 Wheel Rake, Brand New Sitrex 5 Wheel Rack 3 PT Mount, Gehl 2 Row head, Grain Drill / Seeder, John Deere 530 Round Baler, International 3650 Round Baler, 8465 Automatic Case International Round Baler, Hesston 560 Round Baler, Sperry New Holland 855 Round Baler, Case International 8480 Round Baler, Oliver 1855 Tractor with Farmland Loader, Oliver 1650 Tractor, John, Deere A Tractor, Henke Feed Wagon, Allis Chalmers WD Tractor, Loader Bucket with Grappel, Gravity, Wagon with Extension, Trailer with Ramps, John Deere 148 Loader, Hesston 566D Tractor, McCormick, Farmall C Tractor, Farmall M Tractor, Farmall Model SM Tractor, John Deere 70 with Dual Loader, Farmall 560 Tractor, Farmall Super H Tractor, Grain cleaner, Farm King 3 point mower, Bucket with quick attach loader bucket, Case 1530 skid loader, Ford Tractor with loader, Farm King 3 point mower, Westendorf Loader, JD 7000 Planter, Loader, John Deere A Styled, John Deere Hay Rake, Lift-All Fork Lift, 1993 F250 Motor, 3 Point Mower, Loader, Massey Furgeson 1505, Farmhand 817 Feed Grinder, 10 Wheel Hay Rake, IH 490 Disc, Hesston 560 Baler, Wilrich Field Cultivator, New Holland Corn Head, Heavy Duty Disc, IH 490 Disc, International 844 Four Row Corn Head, Loader, Loader, Koyker Loader, Loader, Westendorf Loader, Schwartz Loader, 2070 Schwartz Loader, Case IH 1250 Feed Grinder, Sperry New Holland Feed Grinder, Rounder L 600 Skid steer, American Econolift Model 20, Loader, Sun Koyker Loader, John Deere, 7200 Planter, Farmall M Tractor, John Deere A Styled, John Deere 7000 Planter, Flail Mower, John Deere 9350 Grain and Fertilizer Drill, Massey Ferguson 63 Grain Drill, Massey Ferguson 63 Grain Drill, Kilbros gravity wagon, E-Vac-U-Loader White Plow, 4 bottom plow, Self loading/unloading bale transporter, John Deere backhoe attachment, IH 806 tractor, NEW Notch Bale Hauler (Red), NEW Notch Bale Hauler (Green), 2007 Dodge Ram Pickup Pickup Truck, VIN # 3D7MX48A07G804523 This is only a PARTIAL LIST. 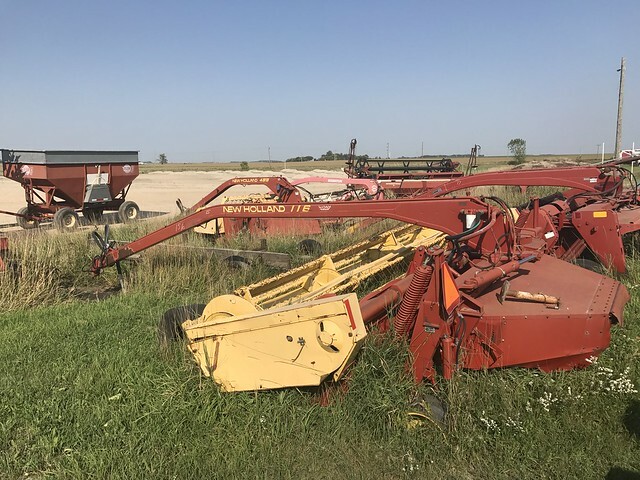 ANOTHER 40-50 LOTS WILL BE ADDED BEFORE SALE DAY.